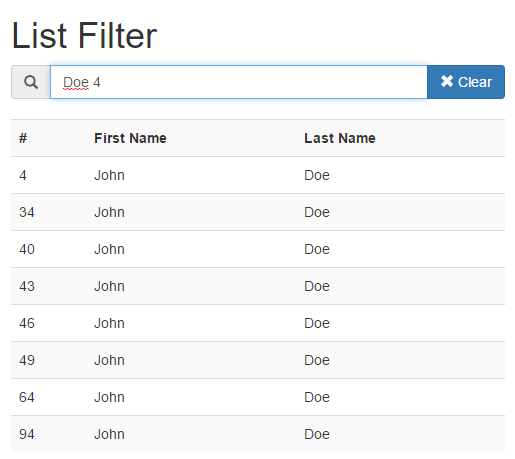 This tutorial is about a simple field that will filter datas. 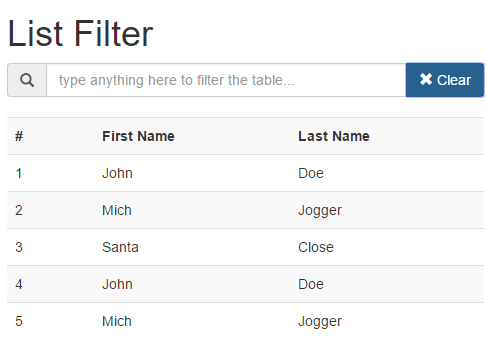 Using Bootstrap’s Data-Table and AngularJS ng-change event. 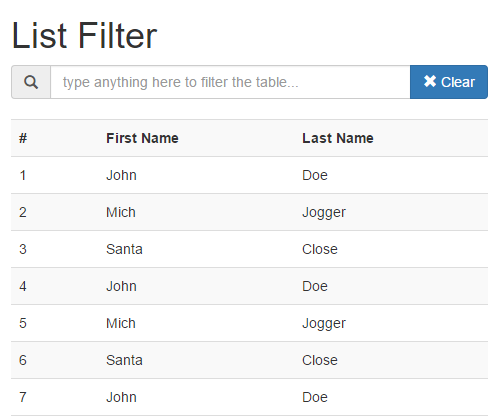 A simple table with datas from backend. You can type text to search field. Data is filtered in real time. With empty result, datatable is replaced by a warning alert. You can also reset the search filed with the clear button. <strong>Not found!</strong> Maybe change your criteria filter.